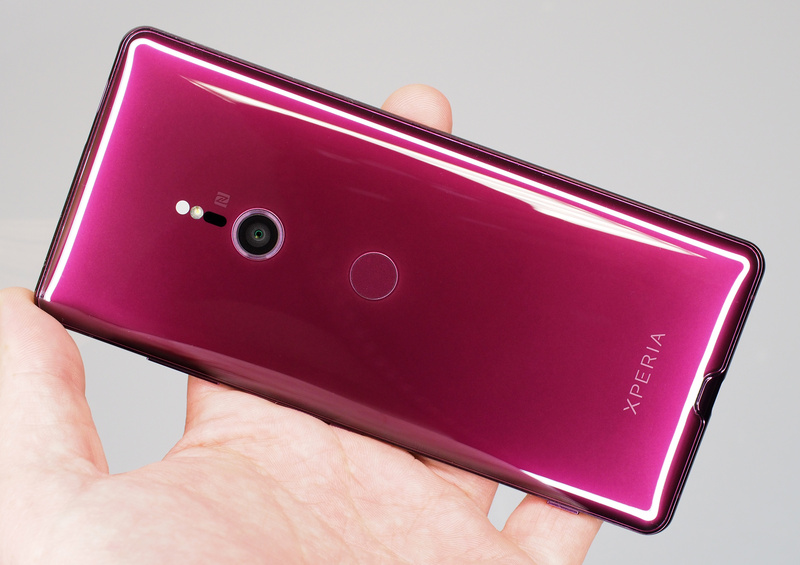 We review the Sony Xperia XZ3, Sony's most advanced smartphone to date with an OLED QHD+ 6-inch screen and 5-axis EIS on the front camera. How will it perform? Find out here. The Sony Xperia XZ3 is a powerful and capable smartphone that has a wonderful OLED QHD+ display. 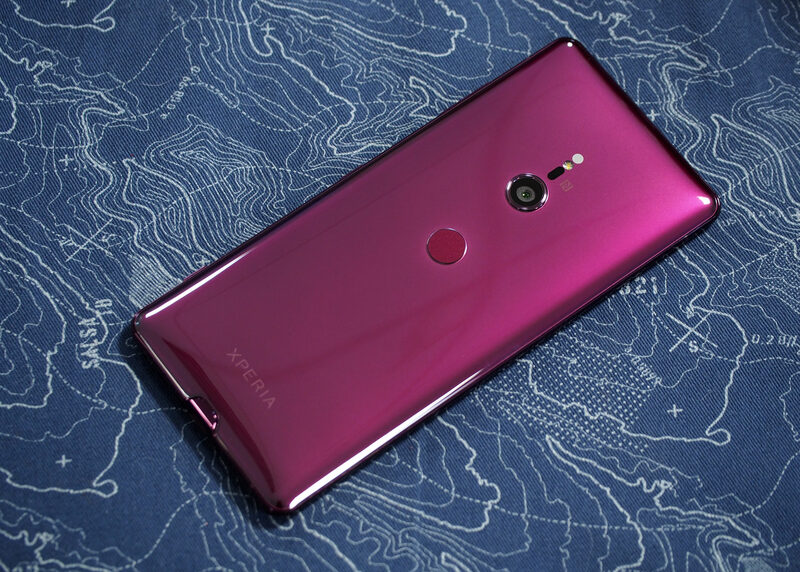 Camera results are acceptable but there is little innovation or improvement with the cameras, with the XZ3 featuring the same rear cameras as the previous model, the XZ2. If a high-resolution QHD+ screen and better front camera capabilities matter to you, then you will find the phone a worthwhile purchase. 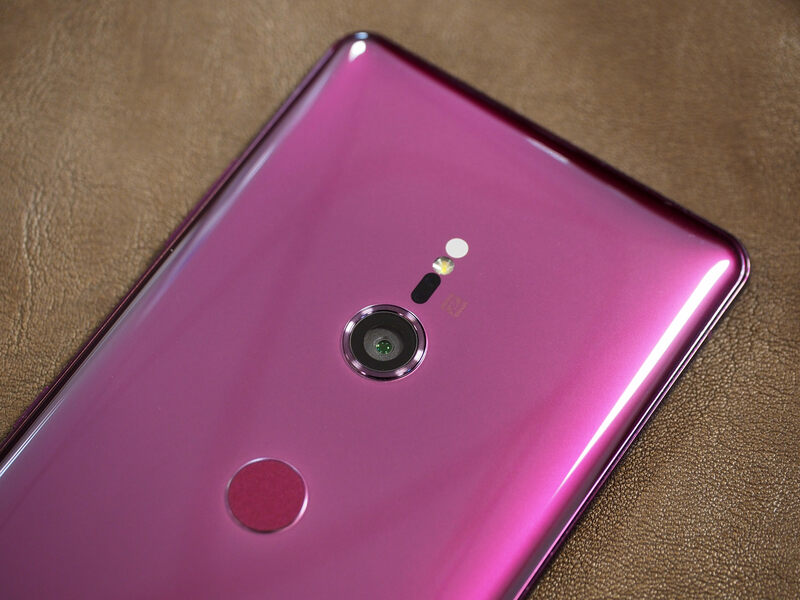 It definitely looks sleek and comes in some lovely colours, but we'd love to see a little more innovation from Sony, with camera technology in smartphones evolving so fast, they are lagging behind other brands a little. The Sony Xperia XZ3 comes hot on the heels of the Xperia XZ2, which was announced in February 2018. The XZ3 has been announced as a solo phone, with no compact alternative (like the Xperia XZ2 Compact), for those that prefer a smaller handset. 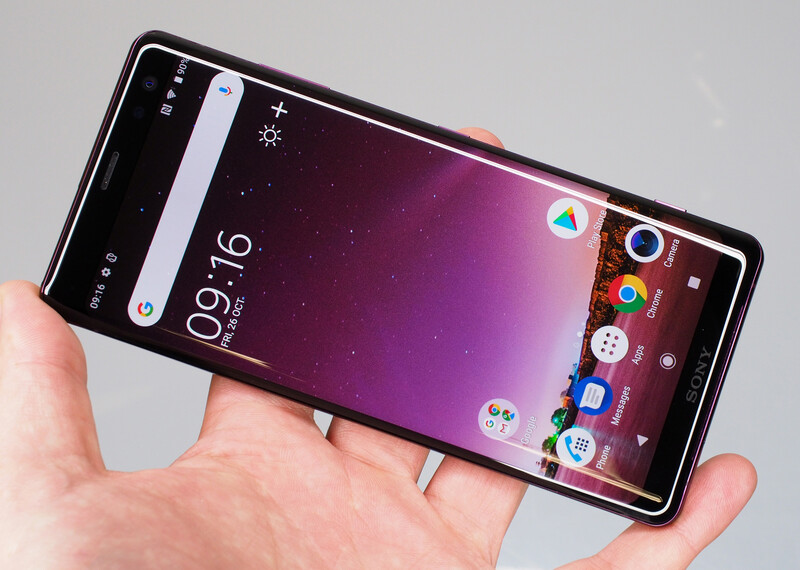 Sony boasts that the XZ3 pushes the limits of a smartphone camera, featuring 4K HDR video recording ability, super slow motion capture in FullHD and predictive capture that can snap on seeing motion or a smile. There is a 19-megapixel rear camera with MotionEye technology and a 13-megapixel selfie camera with wide angle 23mm lens for easier selfies. The phone is available in black, white silver, forest green and Bordeaux red (we think it more of a purple). It's available on Amazon for £699. The Xperia XZ3 has an impressive set of specs, from performance through to camera and screen capability. Sony has put their BRAVIA TV technology into the screen, with an OLED display featuring QHD+ resolution. (QuadHD, 1440x2880 pixels). A 3D curved design makes the phone look sleek and stylish. Inside there's a Qualcomm Snapdragon 845 processor, giving 4GB RAM and 64GB internal memory, expandable with a MicroSD card up to 512GB. The phone has been designed to cope with multiple applications, including playing memory-demanding games, giving you a smooth and uninterrupted experience when recording videos etc. On to the most important part for us photographers - the camera. The XZ3 has a 19 Megapixel rear camera with MotionEye technology, enabling it to predict what you want to shoot before you shoot it, with predictive capture. This snaps up to 4 images before and after you press the shutter, letting you choose the best one. There's a 1/2.3" EXMOR sensor, with an award-winning G 25mm f/2.0 lens on the front. Predictive Hybrid Autofocus can hone in on your subject in as little as 0.03 seconds, and there's also an autofocus burst mode. SteadyShot with 5-axis stabilisation is built-in and a max ISO of 12800 is available for low light images. There is 8x digital zoom - but no optical zoom. 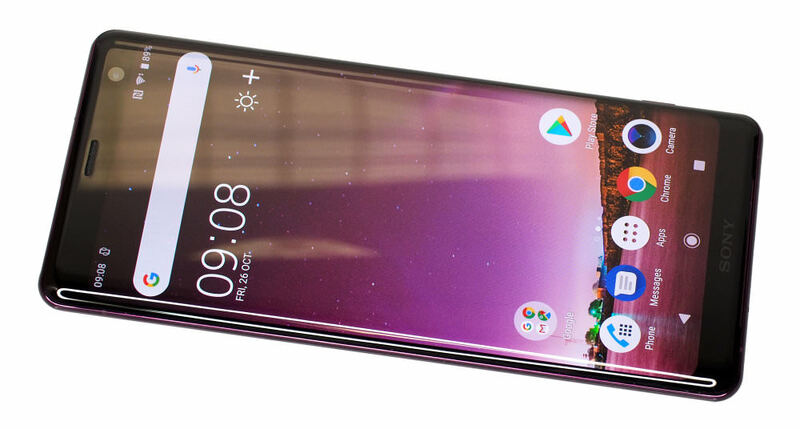 On the front, the XZ3 is no lightweight either with a 13-megapixel selfie camera featuring a 23mm wide angle lens. Sony says this camera is great in low light, and the ability to defocus the background in your shots with a bokeh effect for portraits that stand out. SteadyShot is also built into this camera, which is a rare but good addition. 4K HDR video recording is available, giving you the best clarity and true-to-life colours when capturing scenes. The phone has a large 3330mAh battery designed to last all day with a variety of adaptive stamina modes. The phone is water resistant and has a Corning Gorilla Glass 5 screen for toughness and scratch resistance. The dedicated shutter button on the right hand side of the phone is a nice, unique touch that has been present on all Sony's smartphones, and sets them apart from the competition. The phone lacks a headphone jack and had a USB-C port for charging and transferring images. Wi-Fi, Bluetooth and NFC are all built-in, as expected with a premium smartphone such as this. There's also GPS, handy for pinpointing where your images were taken. 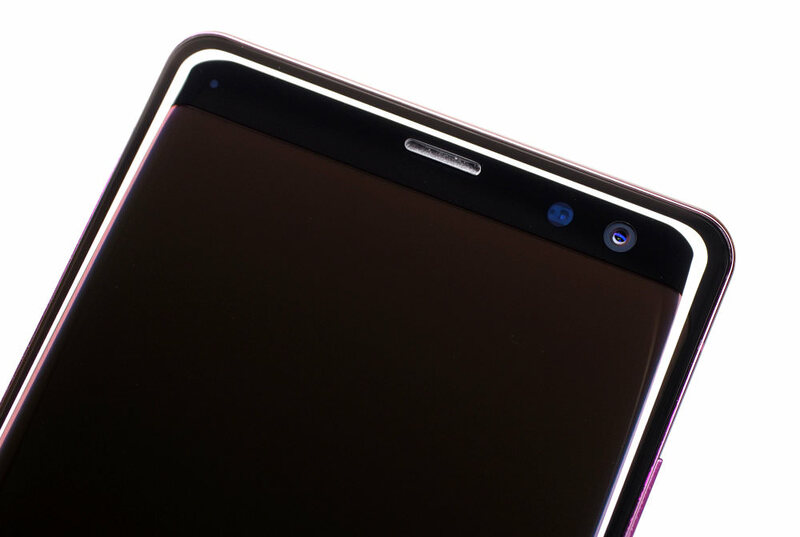 The fingerprint sensor is on the back underneath the camera, and on the right-hand side underneath the power and volume buttons is a dedicated camera shutter button. When holding the phone landscape, this is right where the shutter on a camera would be, which is a nice touch from Sony that has been consistent throughout all their smartphone models - something that competitors lack. The SIM/memory slot has been moved to the top edge. So, what are the main differences between the XZ3 and XZ2? Well, they both have the same amount of processing power -in fact, they have the same Qualcomm Snapdragon 845 processor. The XZ3 has a slightly better battery capacity and weighs 5g less. The main camera is the same on both, but the front camera has had an upgrade, with the XZ3 featuring a 13 megapixel 23mm wide angle lens compared to a 5-megapixel offering on the XZ2. The screen is now a full 6 inches compared to 5.7 inches on the XZ2 and is QHD+ (2880x1440) as opposed to FullHD+ (1080x2160) on the XZ2. 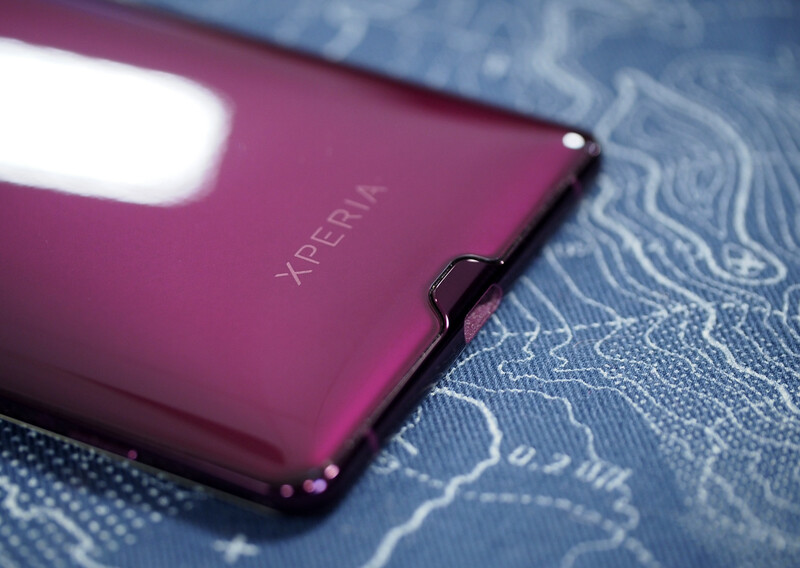 The XZ3 is a curvy, shiny phone with ergonomic curves front and back - but this does make it slippery. The phone feels solid and well built, but not overly heavy for its size, at 193g. It is a large phone, which can make it difficult to use with one hand. Sony has combatted this by introducing a feature called Side Sense, making it easy to navigate the phone with one hand. When set up, a double tap of the thumb on either side of the phone will bring up a set of your most used apps, within easy reach of the thumb to make navigation easy when using 2 hands isn't possible. Side sense makes it really easy to switch between apps whilst only using one hand. The large, 6-inch QLED display is great for shooting photos with. Push down the dedicated shutter button on any screen and the phone will vibrate, taking you straight into the camera mode. Portrait selfie - Create selfies using bokeh background and beautifying effects. Soft skin, skin brightness, eye enlargement and slender face can all be adjusted on sliders. The eye enlargement and slender face options are quite unrealistic and unnatural, giving almost comical effects. 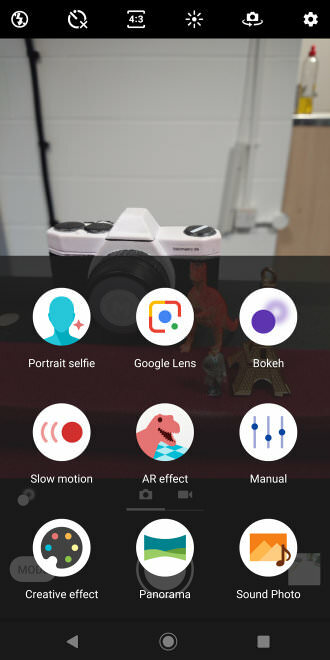 Google lens - Discover new places, scan text and find products on the web to buy from an image - Google analyses what you see to provide you with more information on places, words and objects. Bokeh - Tap an object on the screen and then the phone will take 2 images. A slider can then be used to blur/unblur the background to your taste. 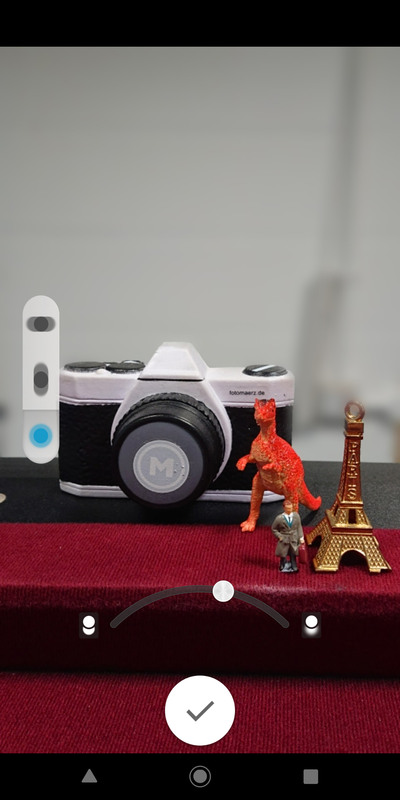 Slow motion - Start recording a video, then tap the button again to record a section in slow motion. Tap again to stop slow motion mode, and again to stop the recording altogether. The FPS and recording style can be changed in settings. 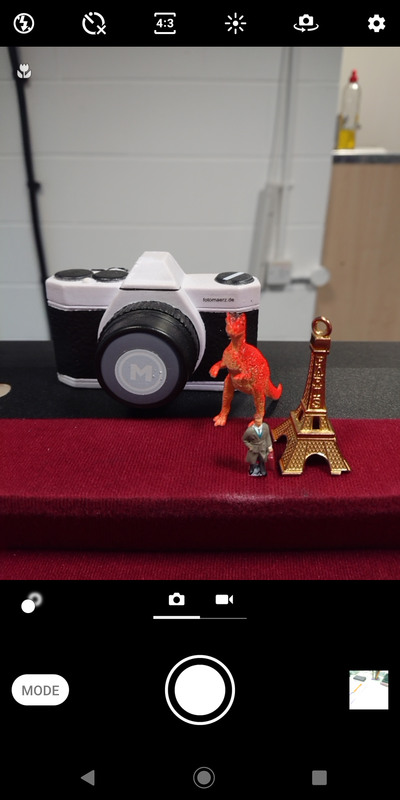 AR effect - Put a variety of effects on the screen, from masks on faces to mini dinosaurs roaming on your tabletop. Good fun. Manual - Allows the adjustment of white balance, focus, shutter speed, ISO and plus or minus 2.0 EV. 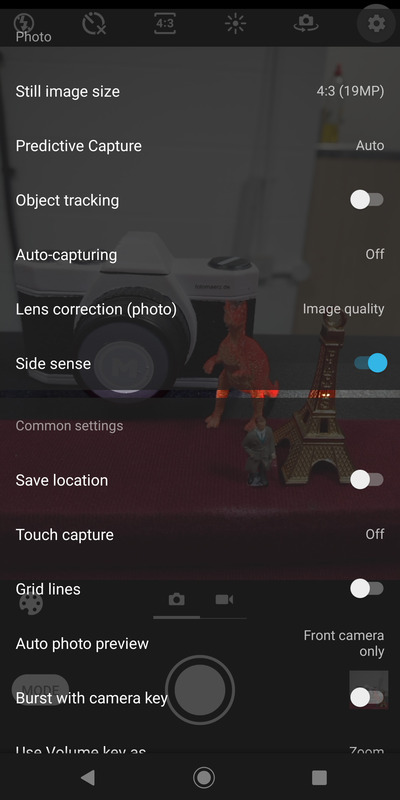 Flash, photo timer, photo ratio and HDR can also be toggled. The settings cog provides options like grid lines and lets you choose metering, burst etc. Creative effect - A variety of effects are available - including kaleidoscope, sketch, comic, partial colour, fisheye and nostalgic. Panorama - Press and hold the shutter button and move the phone slowly left, right up or down to create a panoramic capture. Sound photo - Pressing the shutter button also captures a soundbite. Unfortunately, most of these features aren't available on the selfie camera (portrait selfie is) - you can select them, but the camera defaults back to the rear one when you do. This means that only the basic adjustments at the top of the screen can be altered in selfie mode, such as brightness/contrast and capture timer. This is disappointing - it would have been nice to at least have access to creative shooting modes. 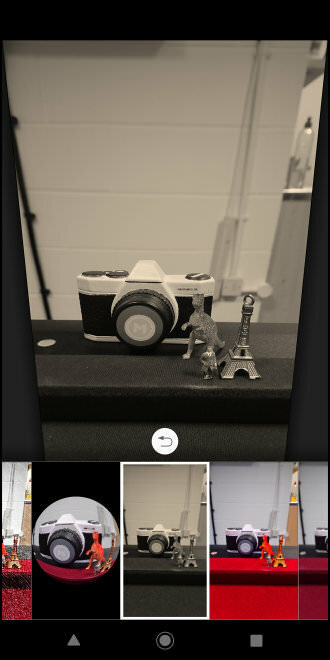 The camera app is intuitively designed and easy to use for those who are savvy with modern smartphones. Clear images for modes and simple sliders make operations a breeze. The screen is clean, crisp and offers bright, true to life colours. Max brightness is adequate in a well-lit room. From standby you can press and hold the shutter button, taking you straight to the camera app in less than a second. From there you can shoot at will. The phone seems very spritely and reactive. The phone got an Antutu score of 290933, and a Geekbench score of 2352 Single-Core score and 8878 Multi-core score. Battery life - The battery is rated at 3330 mAh, which is good but isn't as large as competitor phones such as the Huawei Mate 20 which offers a massive 4200 mAh. If you're going to be away from a power source, we'd recommend getting yourself a portable power bank just in case.